The Art of Arranging at the Piano. Composed by Forrest Kinney. This edition: 1st edition. Chord Play. Chord Play is ideal for anyone who wants to create their own piano arrangements in a number of styles including classical, jazz, and popular. 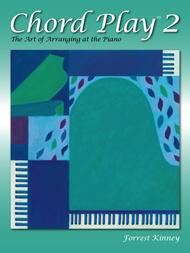 With Chord Playâ„¢, pianists of all ages and levels will discover that arranging at the piano is not only a pract. Book. 64 pages. Published by The Frederick Harris Music Company (FH.CP02). Chord Play 2 â€¢ Use inversions to create left-hand accompaniments in a variety of styles â€¢ Play inversions with the right hand to create accompaniments and arrangements â€¢ Arrange in more styles including gospel, Latin, and country.